With one of Titanex' Customers we developped several Spring Projects (Titanfedern). 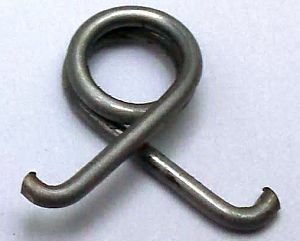 Wires in Ti6Al4V ELi, Ti Grade 19 - known as Beta C - are typical materials to make Springs from. Beside this - also from Foils Titanium Springs can be made of. Especially made from Ti6Al4V Grade 5 Foils. But. Such Ti Grade 5 Foils are very complicated to make and very high priced. During the rolling process 50% of the starting material is lossed. 20. 02. 18 How to enhance Corrosion Resistance of Titanium?